Diocese of Rochester | Win a free school website! Win a free school website! 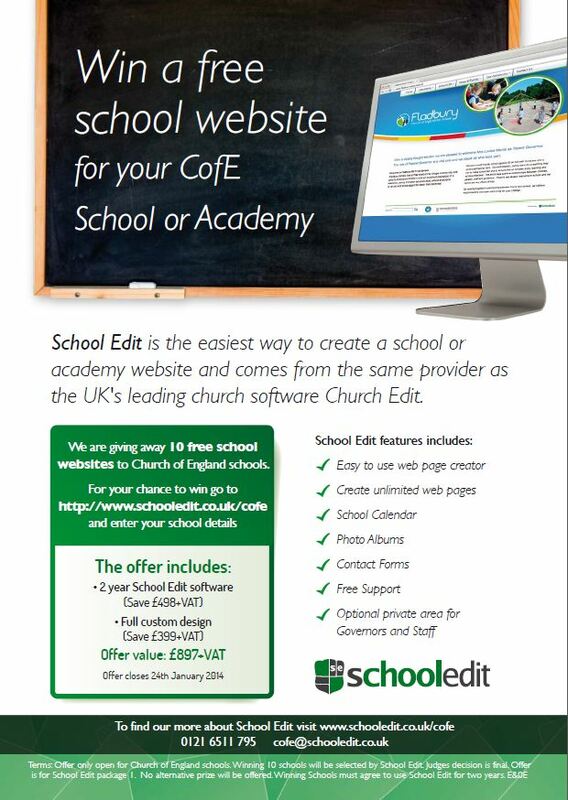 School Edit is giving away 10 free school websites for lucky C of E schools. This includes 2 years School Edit and a free full design worth £897 plus VAT per winning school. To apply, C of E schools and academies need to visit www.schooledit.co.uk/cofe by 24 January 2014 where they can enter their details. The 10 winning schools will be picked the following week.